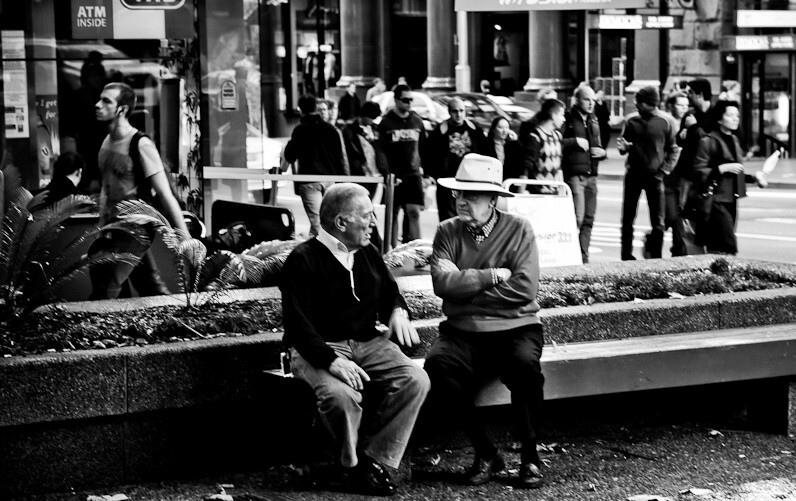 How to become a better listener. So writes Brenda Ueland in her essay On The Fine Art of Listening. How beautifully put. Just think about that for a moment. Most of us don’t listen very well. Even when we think we’re doing it, we’re not. We’re either tuned into what we’re going to have for dinner, what the person before said to us that grated, or we’re just waiting for the person to finish so we can say our piece, which we think is far more interesting. It happens the world over. And of course, as our world speeds up, so our ability, or indeed our willingness to listen, worsens. It has no cultural bias; it’s in all of us. How well, or badly, we listen often depends on how are own days are going. The business of our mind seems to deeply affect our awareness of this simple, yet often rare, act. Yet when someone truly listens to us, it’s almost magnetic. It feels safe and utterly fulfilling when they take the time to comment thoughtfully on what we’ve said. Sometimes it’s almost surprising, a relief. I don’t know when it began for me, or perhaps it’s always been there; this conscious awareness of who is listening to me (and indeed to others) and who isn’t. It feels like it’s been there forever, inside of me; a craving for the person to listen to me when I’m talking. I’m almost hypersensitive to it now. When people are either distracted, or rush to get their bit in, talk over a story, cut me, or others short, it feels like the lost child in me is screaming to be heard — please, please, just listen to me. Have you ever felt like that? Were you even aware of it before you read this? And how often do you feel like that at work, with your boss? Do they hear you? How often do you feel like you don’t have a voice? Here’s the rub. When you’re aware that another person is really listening to you, conscious and interested in all you have to say, think of how it fills you up, how it inspires you to share more, be more. When we listen to each other, the energy between us is different, more relaxed, more intimate, more loving. I recently watched a friend of mine perform her first one-woman play in front of a packed theatre. Behind the scenes, 5 minutes before the curtain opened, she was terrified. Like a rabbit caught in headlights. Before the show she begged “send good energetic vibes out into the audience for me, my friend”. I did and she tentatively began her performance. She was not sure what to expect. Would they listen to what she had to say? The tension clung to the walls of the theatre and to the stage. Then, 5 lines in, she delivered the first joke. It happened quickly, spontaneously, and the audience responded — with roars of laughter. And it was at that very moment, she came out of herself. She came alive. They were listening, they’d heard her and they laughed with her. And when she knew she was truly being heard, there was no looking back. The tension went and the show truly began. Attention — give the person who is speaking your full attention. If there is anything more important to you at the time the person is speaking, stop the conversation and go and do it. Attention is the greatest gift you can give to another person, be it a work colleague, your partner or your children. Eye contact — looking the speaker in the eyes, and continuing to do so even when they look away to think. The quality of their thinking will increase when they return to looking at you and notice that you are still looking. Silence — not speaking, or even looking like you want to speak. Even when it feels or looks like they have finished, wait longer. More often the best thinking happens in that moment of silence. No interrupting — do not say anything, as doing so interrupts their thinking. Ideally, do not take notes. Be curious — intend to be open minded and interested about whatever they may say to you. Body Language — sit facing the speaker, lean forwards, unfold your arms, be still, relax and breathe deeply and quietly. No fixing — you are here to listen, not to fix them or to solve their problem. In listening they will more often than not arrive at a solution without you saying anything. Equality — see the person in front of you as an equal, fellow human being, who needs to talk or think out loud. No judging — difficult as it may be, this is not about right or wrong, just an opportunity for them to speak and to think. Appreciation — once the conversation is over, offer one specific thing that you appreciate about them and do so whilst looking them in the eye. Colin D Smith is known as ‘The Listener’. He is one of the UK’s foremost listening skills specialists, working both with individuals, as well as for teams within organisations who want to be heard, think smarter, and transform their business and personal relationships through active listening. He has an innate ability to actively listen to people, enabling them to articulate their creative ideas, address their personal concerns, express their feelings more easily, and to achieve their personal, professional and life goals. Having had a varied and successful career in consultancy, business development, IT and customer support across many sectors, including finance, motor, retail and the NHS, in looking back he realised that much of his success was due to his listening and connecting abilities. This led him to develop a series of programmes to develop these skills in others, the importance of which organisations are now waking up to. His inquisitive and curious mind leads him to explore unusual, thought provoking, yet grounded observations and alternative approaches to business, people, systems, change and innovation. More meaningful relationships, as the first step towards developing trust. Building deeper connections with your clients and work colleagues. Better, more creative and original thinking, by having more time and space to do so. Increasing time, energy and money by incurring fewer mistakes and by getting it right first time. Improving your emotional wellbeing and feeling good about yourself. Feeling less stressed and pressured through being able to express yourself more easily and freely. Greater self-awareness, self esteem, confidence and presence. To book, please get in touch to request available dates and chat to us about your individual or if work-focussed, then your team requirements. Or just click here for more details on the workshops we’re running on this subject. Originally published at learnshedlive.com on May 16, 2017.